This award comes from the blog Dorian’s Hand. Thank you very much! Please do check out her cute blog about growing up in this big wide world. Also be sure to check out some of the nominations I have made below – there are some great blogs out there, and as usual it was hard to create this short list so I have tried to pick those that I consider “versatile“. As always, no pressure, and none of these blogs/bloggers are obligated in any way to do anything about this award should they not wish to do so. Congratulations and thanks for this nomination..
Congratulations on another award! And thanks for the nomination. I’m truly grateful, and will ponder what I might do or not do about it. I’m also happy to see some of my blogging friends on your list! Thank you so much for the nomination, I just saw it now I already have this one and I fear that I’ll start getting on people’s nerves with answering questions and posting facts for awards over and over again, so I won’t post it again, but I do want to thank you for thinking of me and mentioning my blog. Congratulations on your nomination! 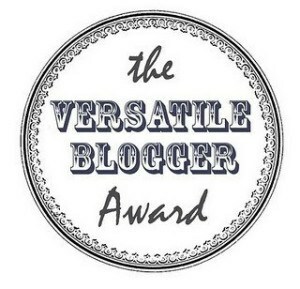 Very much deserved for such an outstanding blogger as yourself! And thank you for nominating me…you’ve been added to my list of award givers page!